Absolutely great tour. Our guide went above and beyond in providing a great experience. We even went a bit over the contracted time and he did not complaint at all. He took us to great spots to take pictures. The tour itself takes you to great locations and the 1 hour boat trip through the river definitely worth the price. Our guide Vincent was outstanding which made this trip so special. The Duro valley is not to be missed spectacular country and charming small towns. This porto wine tour was a wonderful experience. The driver picked us up at the hotel in the morning, right on time. The driver Paolo was very friendly and helpfull. Would like to thank especially Paolo for this wonderful day. 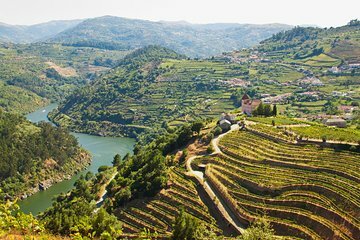 I can really recommend this porto wine tour!